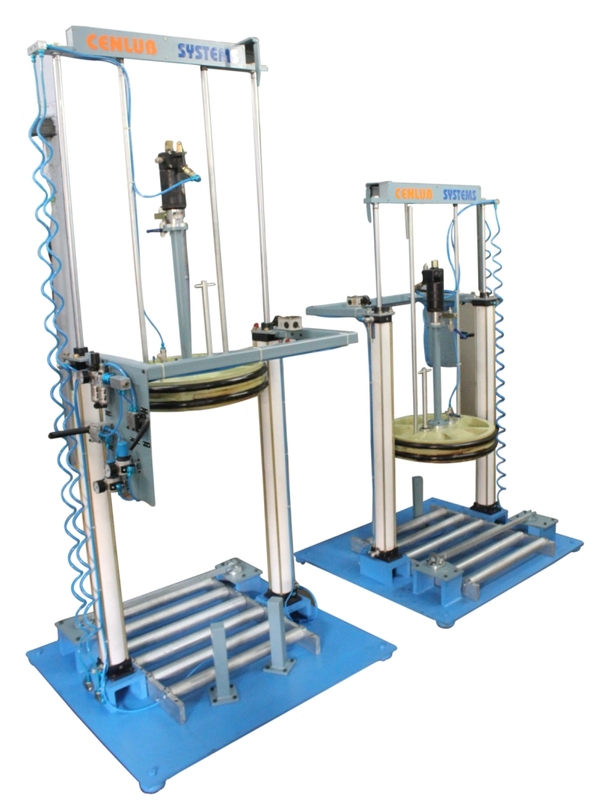 Drum Press Assembly is meant to pump grease from fully open standard drum with a capacity of 180 Kg. The follower plate pusher on the grease with air pressure making it feasible to pump high viscosity greases at high flow rates without air pockets. The Drum remains at its position, when the follower plate is withdrawn. Follower plate also serves as a protective cover when the pump is not in use. The quantity of residual grease with this system is very less. Drum change operation is very easy and take very little effort. It also provides tidy work place.